Search for all types of bird watching locations in Staten Island, where you can witness different species of beautiful birds soar through the air. Find out all the information you need to know about Staten Island bird watching. Enjoy the finest birding in Staten Island, with the help of Fun New York's go-to guide. An Ideal Spot for Bird Watching on Staten Island! Blue Heron Park is a gorgeous nature refuge in Staten Island with meadows, kettle ponds, freshwater streams and marshes, and woodlands. The park serves as a habitat for the bird from which it was named, the Blue Heron. You'll also find various species of bats, raccoons, grey squirrels, and chipmunks. 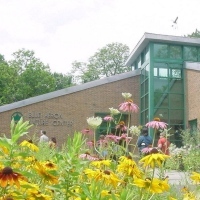 The nature center is right at the entrance of the park and contains several classrooms, exhibit areas, a library, and an office. Plus, you'll find two observation decks with bird feeders and a mist net for bird banding, making it one of the great bird watching spots in Staten Island.